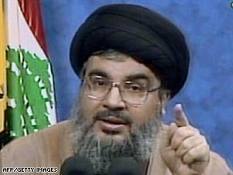 It’s not impossible that Hezbollah’s leader Hassan Nasrallah was right when he described the tribunal investigating the assassination of Lebanon’s Prime Minister Rafik Hariri in 2005 as “an American and Israeli tool”. Though I myself see Israel’s military and political leaders as those with most to gain – I mean thinking they have most to gain – from a successful attempt to pin the blame on Hezbollah. When their unopposed air force devastated large parts of Lebanon’s infrastructure (as well as Hezbollah’s headquarters area of Beirut) in 2006, Israel’s leaders thought that by doing so they would turn the Lebanese army and Christian and Sunni militias against Hezbollah. In other words, by massively punishing all of Lebanon, Israel’s leaders believed they could push the Lebanese army and Christian and Sunni militias into doing the Zionist state’s dirty work. But once again Israeli strategy (state terrorism pure and simple) backfired. Israel’s 2006 war united the Lebanese (more or less) and Hezbollah came out of it stronger not weaker. (It’s worth remembering that Hezbollah would not have come into existence if Israel had not invaded Lebanon all the way to Beirut in 1982 and remained in occupation of the south. Just as Hamas would not have come into existence if Israel had been prepared to do the two-state business with Arafat). Israel’s leaders are itching to have another go at Hezbollah and hopefully destroy it. But there’s a problem. Hezbollah today is much better armed than it was in 2006. It has rockets and (some say) missiles, primarily for defense, but which could do a great deal of damage to and in Israel’s cities including Tel Aviv. The soft underbelly of Israeli public opinion would not like that. For most Israeli Jews, wars are only great if they are relatively cost free in terms of casualties on their side. So if Hezbollah succeeded in making Israel pay a high price in terms of IDF forces and civilians killed and wounded, it’s by no means impossible that, for the first time ever, many Israeli Jews would seriously question their government’s policy of living by the sword. From an Israeli leader’s perspective, that must not happen. So before they go to war again, Israel’s leaders (and their unquestioning American allies) know they need to discredit Hezbollah in order to greatly improve the prospects of other Lebanese forces making effective common cause with Zionism to destroy Nasrallah and all he and his movement represent. I must confess, and do so cheerfully, that one thing above all others has always puzzled me about the circumstances of the explosion that killed Rafik Hariri and 22 others. His wealth and contacts would have ensured the he had state of the art electronic protection when he was on the move. Taking it out or in some way neutralizing it surely had to be an inside job? (That’s a question not a statement). Who could have had the necessary access? A Mossad agent? Very possible. A CIA agent? Again, very possible. A Hezbollah agent? Unlikely, or so it seems to me. Your view on the incident seems to be correct to me. Your right about Mossad involvement: the electronic protection of Hariri is Israel technology! Maybe a Hezbollah mole within the mossad so to discredit Israel and the US, if so it backfired hard on the Hezbollah. What about the leaked documents showing the hands of the mossad and the cia? You are right only Mossad vultures and sharks could have been behind this.